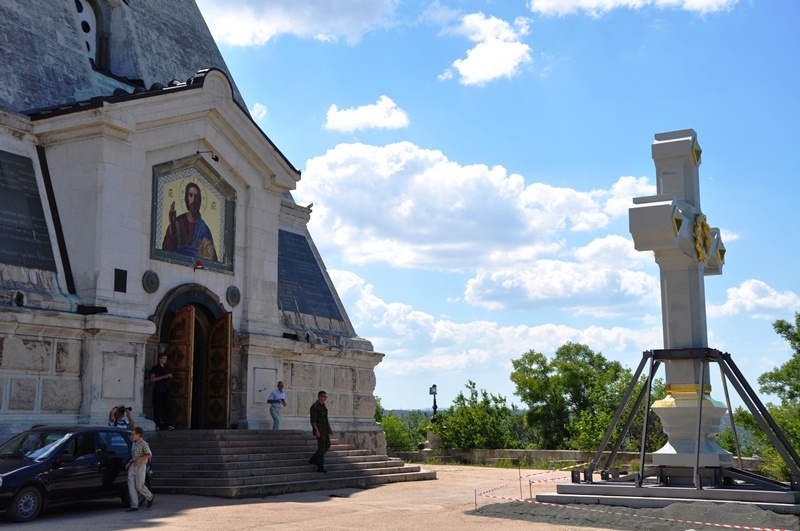 The 24-ton cross, made by Russian masters in the Urals as a gift to their fellow countrymen, stands in an open area near the Church of St. Nicholas so that all those willing can touch it and feel the greatness of the Orthodox faith. 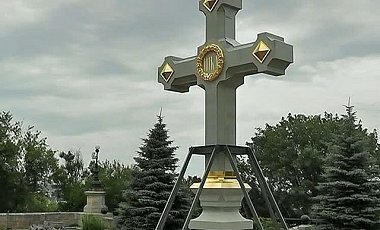 7.5 meters high, the cross is made of whole granite blocks covered in gold leaf. St. Nicholas Church was built in commemoration of soldiers who were killed defending Sevastopol during the Crimean War in the middle of the 19th century.